There was a time not terribly long ago when most people assumed the world would end within their lifetime. In fact, between the Cold War, Y2K, 9/11 and various other incidents, several doomsdays have come and gone just in the last 60 years. 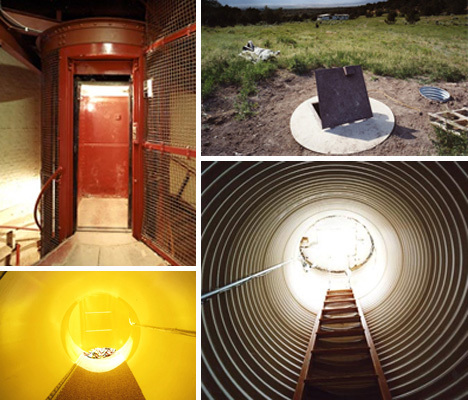 To prepare for this eventuality, many families and communities around the world decided to build shelters to wait out the end of the world. While it never came (or hasn’t yet come), their handiwork stands to remind us all of just how frightening those times were. 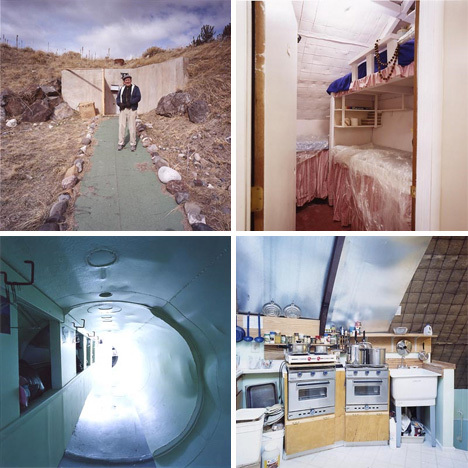 Photographer Richard Ross spent five years touring the world, taking photographs of bomb shelters meant to save their inhabitants from the apocalypse. The above photos are from Ross’ book Waiting for the End of the World; they show one of the more interesting locations: Emigrant, Montana. There, a group of people from the Elizabeth Clare Prophet Church built a shelter fit for 90 families because they believed the world would end on March 15, 1990. Of course, the world did not, in fact, end on that day. The shelter was full to capacity on March 15, and when the end never came, everyone simply left unscathed. Although it’s still maintained by Charlie Hull and some volunteers, the shelter is no longer needed as the church no longer believes the end is coming in the foreseeable future. Shelters are built for many different reasons, but the one overarching reason is a perceived threat of some kind. 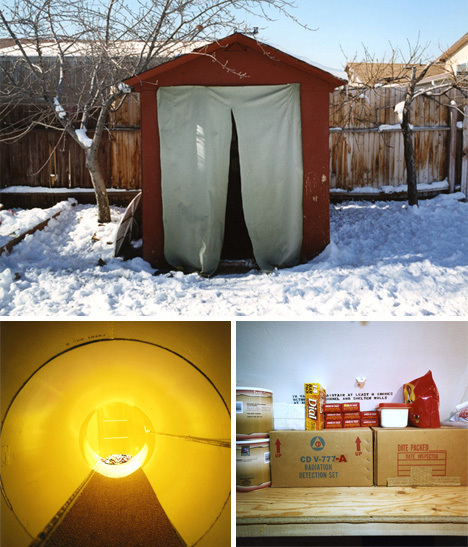 The shelter above was built by and for a family in Salt Lake City, Utah. Their perceived threat is the nearby airport; the family believes that being located near an airport automatically makes their home a target for terrorist attacks. Although the shelters have, so far, been little more than expensive holes in the ground, who knows what the future may bring? Will we all one day wish we’d had the foresight to sock away years’ worth of supplies in a safe place? Or, when the end of the world comes, will it come with such force that a reinforced box in the ground simply won’t make a difference? 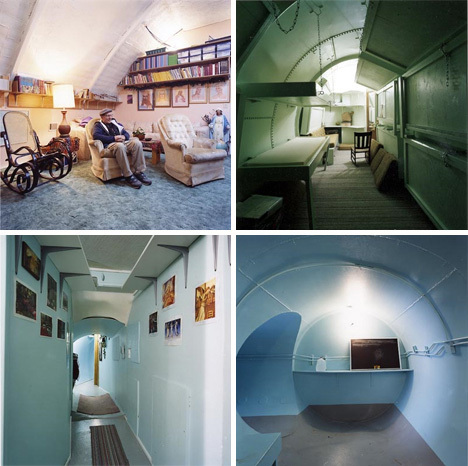 Until then, these bomb shelters offer a bit of morbid nostalgia for those of us who have lived through some of the various predicted Armageddons. See more in Epic Failures or under Vintage & Retro. January, 2010.